In case you missed it, an entertainment newspaper broke the news that the rave-of-the-moment 21-year-old EME artiste fondly called ‘Wizzy’ is now a father. A fan weighs in. What comes to your mind when someone mentions the name “Wizkid” in a conversation? Do you think young superstar, Boy wonder, or, perhaps, Banky W’s prodigy? How about university-drop out? Perhaps not. All right then, surely you think “most sought after youth”. If you are a music head, then the mention of Wizkid will inspire the following thoughts; auto tune, catchy-sing along type hooks, dance tracks that have you partying like it is ‘99, and a style that is heavily reminiscent of the Fuji genre. I am a music head. My first taste of Wizkid was in 2009, when he featured in M.I’s debut album; Talk about It; the track, Fast Money Fast Cars. Overall, it was a very good effort by the then relatively unknown teenager. Asides cementing M.I’s status as one of Nigeria’s top rap acts, the album introduced us to a very promising new entrant. 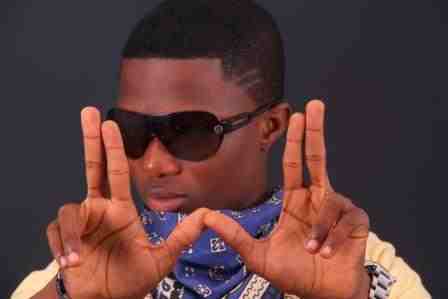 Make no mistake, this was not his first go at stardom; before Fast Money Fast Cars, Wizkid had recorded a few other singles and even released an album under his former moniker ’Lil Prinz’. Frankly almost everything before this career changing feature can be classified as water under the bridge. The only constant is his manager, Osagie Osarenkhoe, who was in his life way, way before fame came knocking. It is safe to say that these – his prior efforts at conquering the music industry – went largely unnoticed. But this EME recording artiste who also refers to himself as ‘StarBoy’ might consider picking up another acronym. I’ll suggest “Lucky”. You see, the next path his career took was blessed with luck. Shortly after the release of his feature with M.I, the latter was billed to perform at a show and he invited Wizkid to perform alongside him. As fate would have it, Ayo Balogun was late and as a result, he did not perform with Mr. Abaga. However, he did tag along with M.I to the after party. There he sat quietly while M.I chatted with a few other people. One of those was Bankole Wellington aka Banky W.
Shortly after this fortuitous meet, Banky W signed Wizkid to Empire Mates Entertainment (EME), a label he co-owns with businessman Segun Demuren. From that point on, it seemed liked someone lit a firecracker underneath Wizkid. His career exploded exponentially. Wizkid would go on to receive a fair degree of flak for the video to Tease Me/Bad guys. Shot by Kemi Adetiba, the video showed the 20-year-old, baby-faced crooner, who can pass for a 16 year old, receiving a strip tease/lap dance type thing from scantily clad women. Lordy, lordy. Loyalists argue that this video was simply an accurate expression of the song, and besides, at least according to the Nigerian legal system, Wizkid was an adult. It seems that when it comes to Wizkid, opinions for and against, are greatly magnified – whether sexually-themed lyrics or an extensive use of good ole autotune. The tabloids have contributed greatly to the Tinsel-town drama surrounding Wizkid. Several print and online publications continue to harp on his alleged love for older women, or is it the other way around? There was, for instance, the sensational link to Nollywood actress Tonto Dike. Many continue to swear that they not only had a good romp for a while, but also that he received a car for his trouble. Both camps maintain that their relationship was and is simply platonic. Well, don’t dull. And indeed, there is never a dull moment in the Wizkid saga – and it only got, well, uhm, worse. An entertainment newspaper recently broke a story alleging that the Lagos State University and Lead City University drop-out has fathered a child. According to them, the – Lord, forgive me – baby mama as they claim, or let’s say, the young lady at the centre of the ‘debacle’ is a student of the University of Legon, Ghana. Once again the pro and anti Wizkid groups have gone at it. While both sides trade punches, a few onlookers call for caution; apparently there is a possibility that the child in question might not be his. Interestingly, those around the wiz kid have chosen only to keep mum. So all we have is speculation. But the question on everyone’s lips, however, is “What does such a controversial private life bode for his career?” Well, based on the ‘2face model’, we can deduce that the Nigerian music industry is capable of forgiving its favourites when they veer off the ‘moral’ path. However, 2face has been a firm favourite for more than a decade. If this is the case, then the next question must be answered in the affirmative: “Is Wizkid one of its firm favorites?” Only time will tell, even as he has managed now to swim through the tide, armed with awards and nominations from everyone including the MTV Europe Music Awards. For the sake of all those who enjoy his music – as heavily criticised as it is – and for those like me who simply like to holla at the boy, we hope the answer continues to be yes. It’s way too early to say goodbye to this superstar. Y!